Allowing fans to enjoy professional sports. Few people realize that close to 200 major leaguers played in at least one game at Dodd Stadium. Attracting more than 4.5 million people to baseball games including an estimated 2.5 million from out of town. That is more people than have attended every other event held in the city over the past two decades combined. Providing affordable family entertainment in a city with few recreational alternatives for young people. Making Norwich distinctive from other historic New England communities. Only seven cities in New England and two in Connecticut have affiliated minor league baseball. Providing a quality venue for community events. In addition to hosting games for colleges and local high schools, many special events such as concerts, festivals, car shows, charity events and band competitions are held at Dodd Stadium. Creating employment for 15 full-time and 100 part-time employees, and creating business for local companies. The civic pride created by this project was unique. Newcomers may find it hard to believe, but the entire community and the region’s political establishment came together to support this project with a spirit of volunteerism and determination. This unity allowed Norwich to first attract the Yankees’ franchise from Albany and obtain state funding for the building. Dodd Stadium remains a quality facility and is one of the best parks in the New York-Penn League. But stadiums like schools, parks and town halls require maintenance and capital improvements. The Norwich City Council originally contributed $726,000 to build the stadium and periodically funded upgrades thereafter such as new bullpens, an indoor pitching facility and new restrooms. The city’s total capital investment has been about $1.7 million or $70,000 annually. In recent years, however, important renovations and upgrades recommended by the Baseball Stadium Authority have been deferred, and stadium projects have been left out of the capital improvement budget. As a result of this deferred maintenance, a more significant expenditure than usual is now required. Unlike some other community facilities, the stadium operates without an annual subsidy from the city budget. Operating expenses are paid for by the baseball team’s rent, parking revenue and other events. 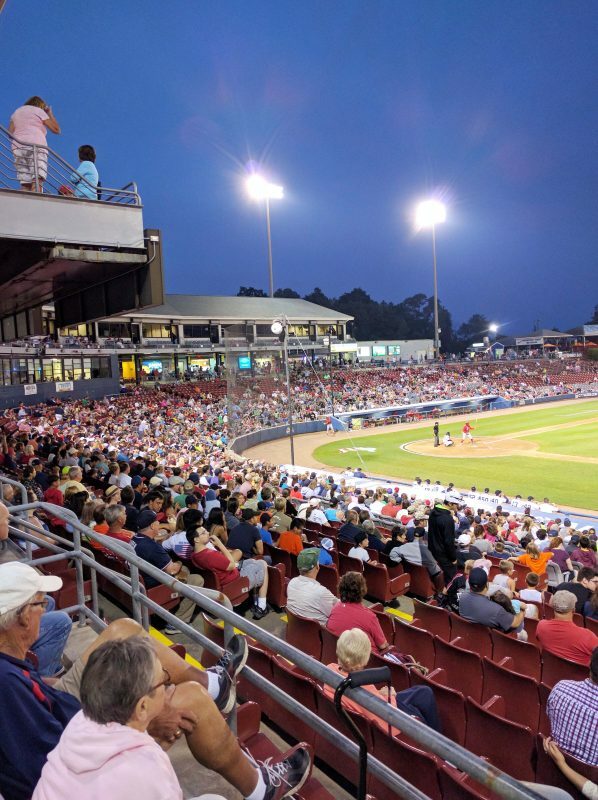 When you consider the benefits it has brought to Norwich and the unique recreational opportunities it has provided to city residents, Dodd Stadium is a remarkable success which merits continued city support. Glenn Carberry is an attorney and originated and led the community effort to build Dodd Stadium and attract minor league baseball to Norwich. Editor’s Note: The Norwich City Council unanimously approved the proposed $800,000 bonding for Dodd Stadium on April 16th. Click here to view the article as it appeared in The Bulletin. This entry was posted in In The News and tagged Glenn Carberry, Norwich, Thomas J. Dodd Memorial Stadium.